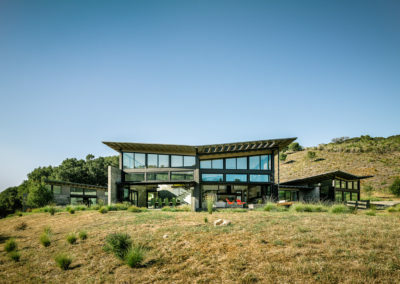 See a video walkthrough of the house here. 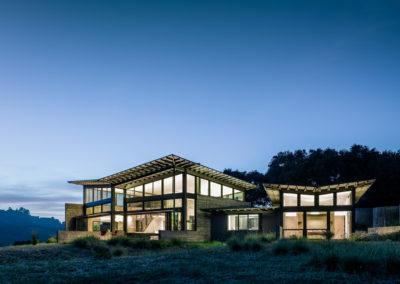 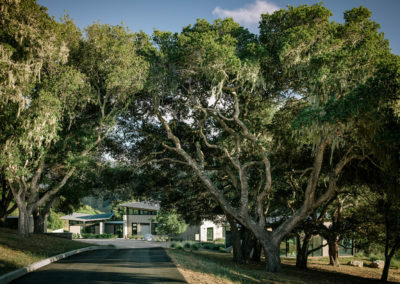 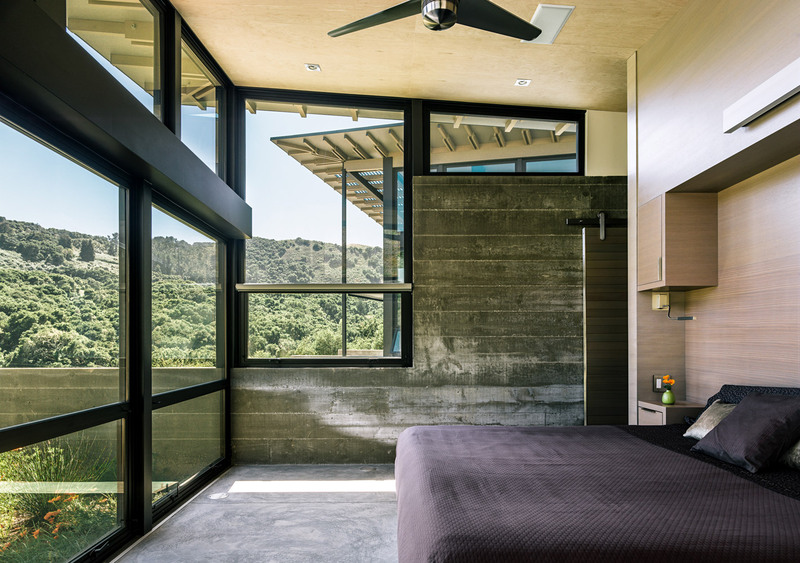 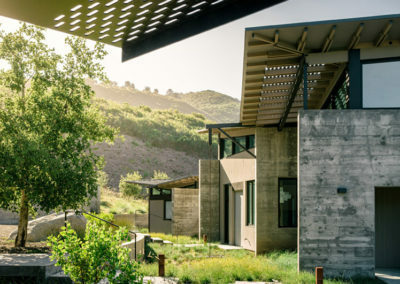 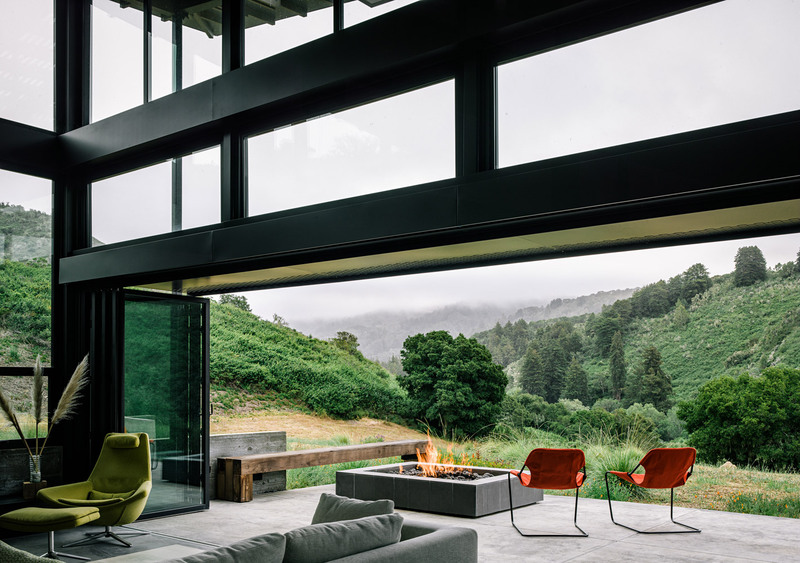 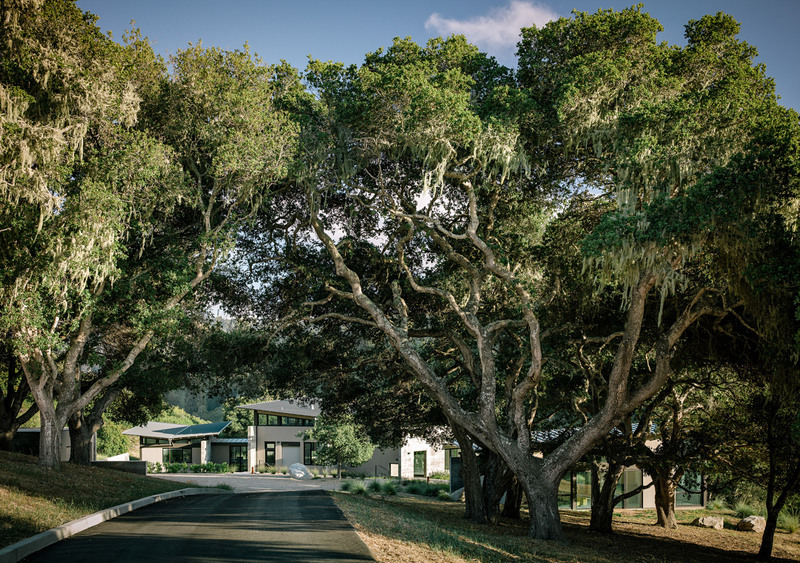 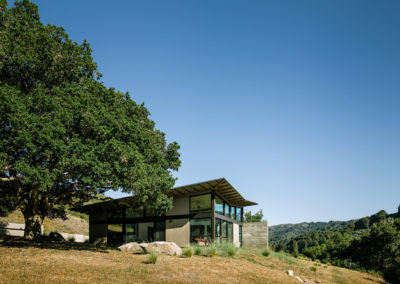 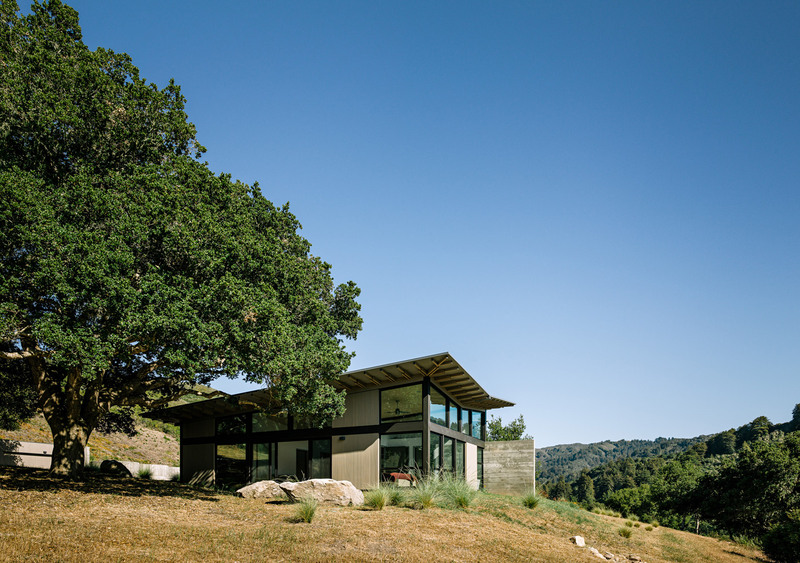 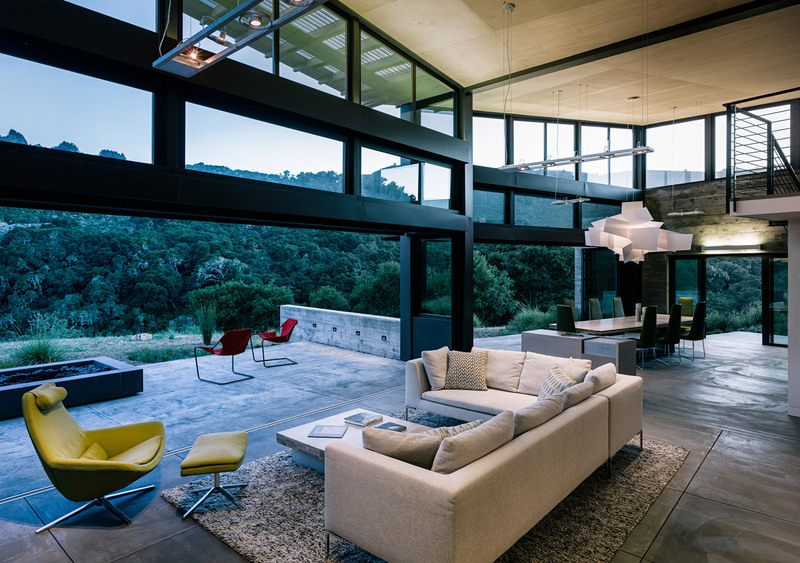 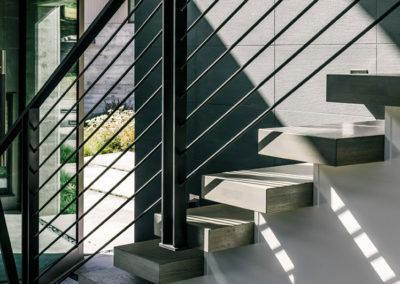 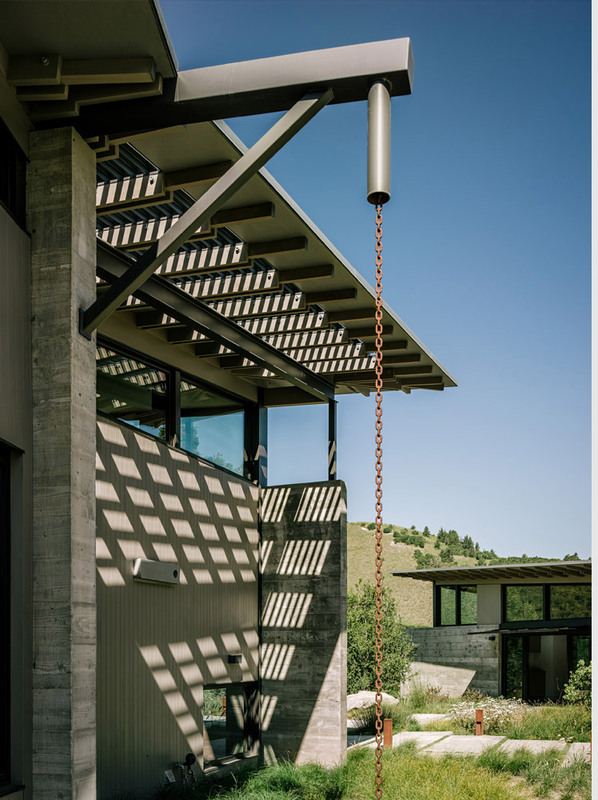 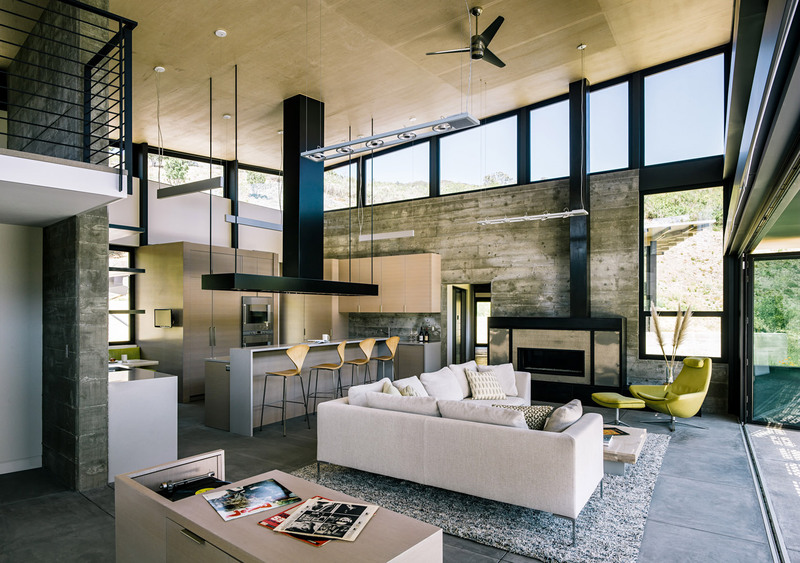 The clients approached Feldman Architecture to design a retreat for eventual retirement and visits from their grown children—a retreat befitting the natural beauty of the location in the Santa Lucia Preserve, a 20,000 acre private development and land trust near Carmel, California. The clients were meticulous in the selection of the site, searching for two years for a spectacular piece of land that was flat enough to accommodate living on one level. 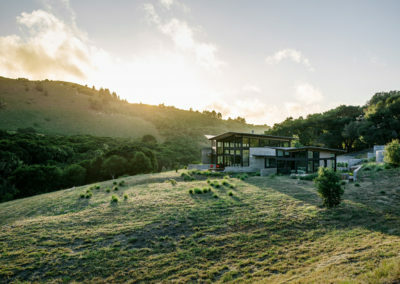 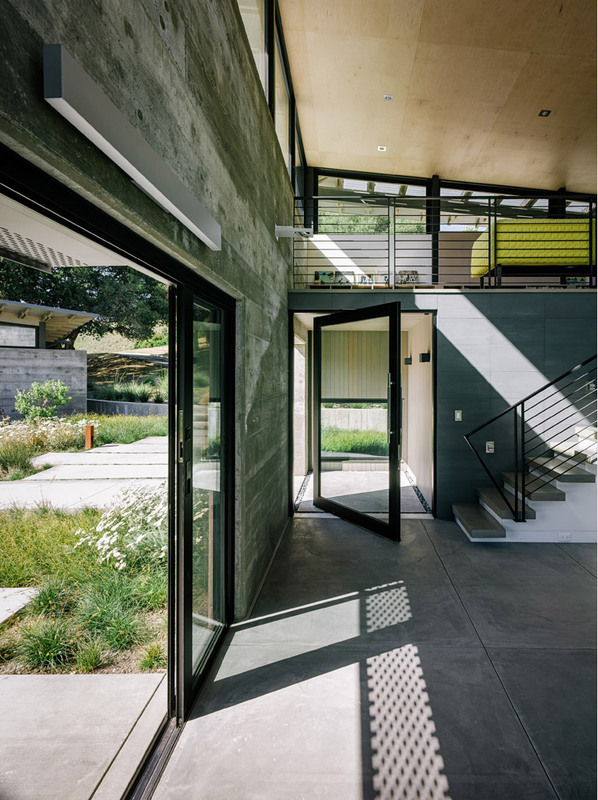 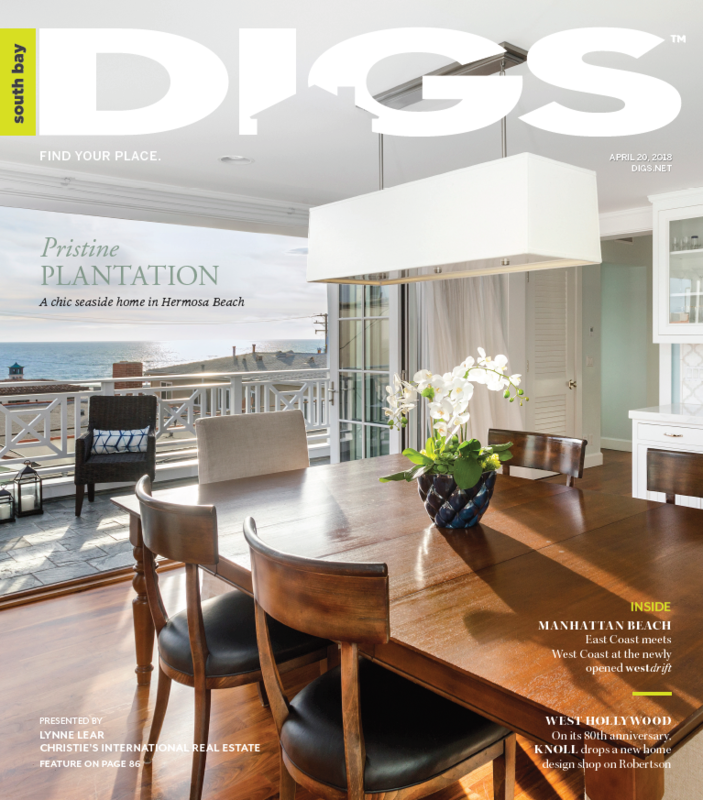 In an initial meeting with Feldman Architecture, the clients noted their vision of butterflies alighting on the meadow site, which the architects took as inspiration. 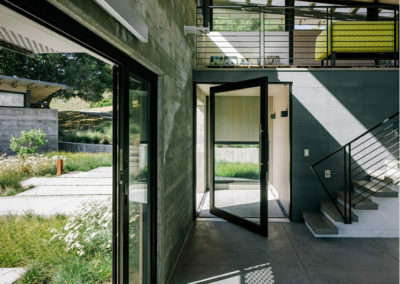 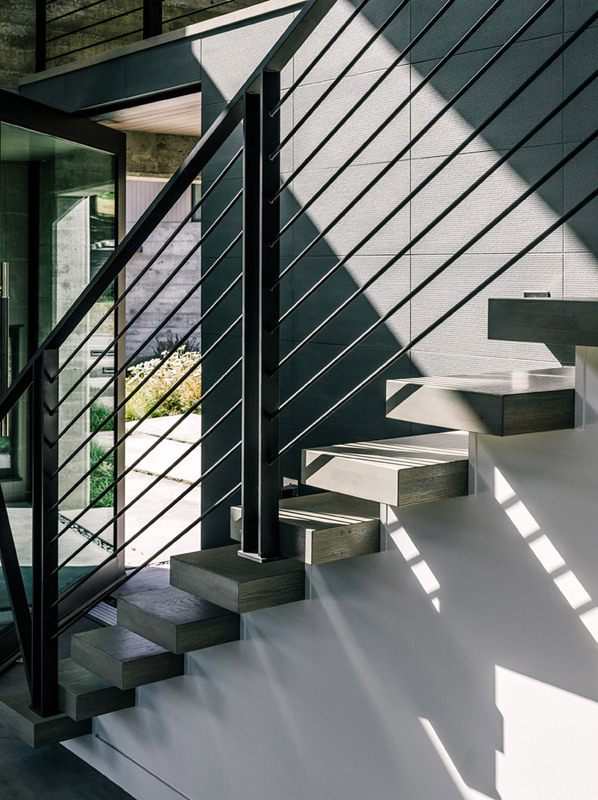 They also expressed a desire to integrate indoor and outdoor spaces with a simple, modern aesthetic and to provide separate spaces for their visitors. 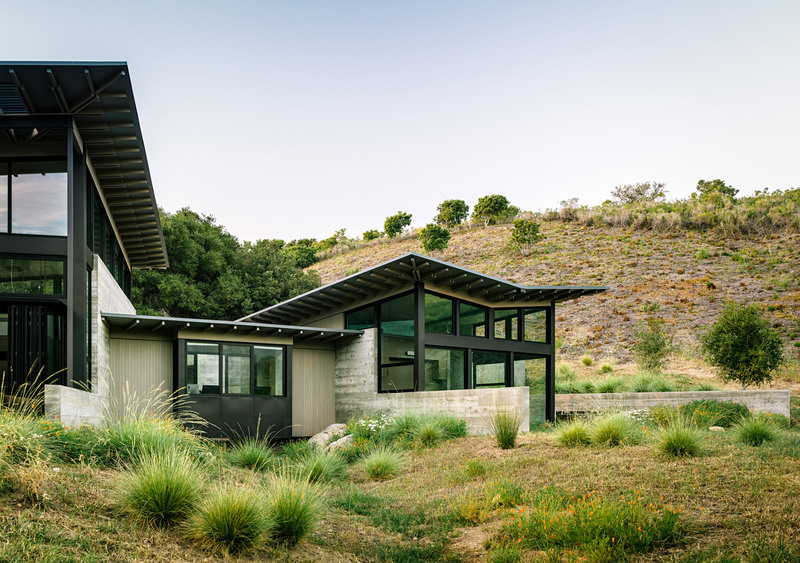 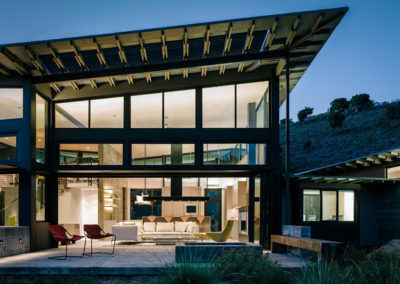 Sitting lightly on the land, the house is divided into three pavilions that are topped by expressive butterfly roofs. 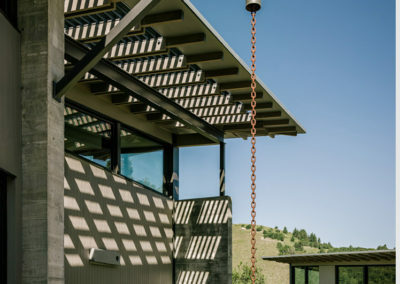 Each pavilion has a separate function: the central pavilion houses the main living, dining, and cooking spaces, while two other pavilions provide for sleeping, bathing, and relaxing. 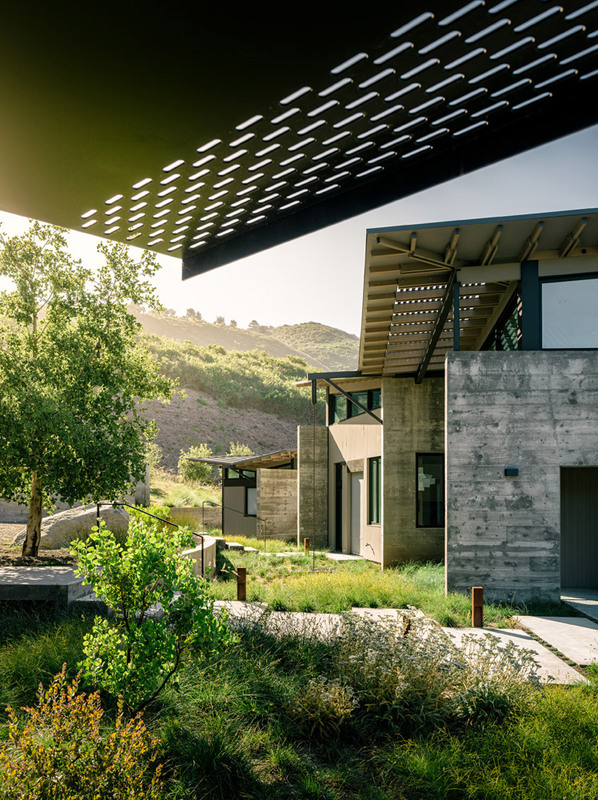 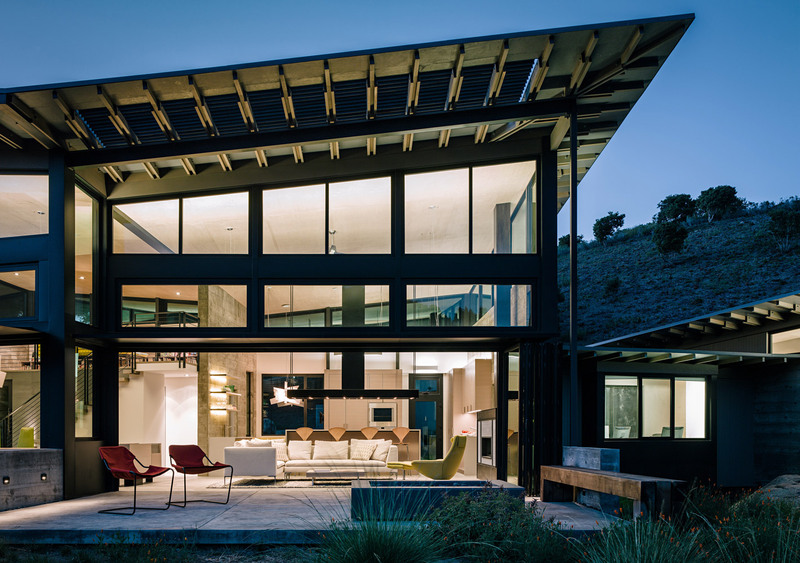 The structures are modest in size, yet each expands into an outdoor room that opens up to dramatic views of the canyon below and hills above.